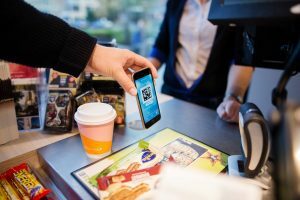 Digital loyalty programme with convenience retail partnerships. 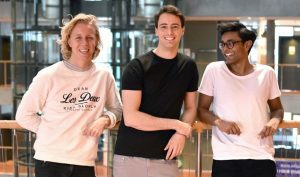 Maths Mathisen, Florian Winder, and Vinoth Vinaya, from Copenhagen Business School who co-founded “HOLD“. What digital channels are the most effective way to drive traffic to your store? If you’re lucky enough to have stores in Norway or the UK, a partnership with the productivity app HOLD might be the best possible solution. Why? Simply because unlike pure digital advertising that most people avoid or ignore, HOLD is an entirely new concept that has a higher purpose than simply offers, incentives and giveaways. HOLD actually wants to help you improve your life. Whether it’s better grades if you’re a student, or better productivity if you’re working. And we all know that consumers, particularly millennials, are increasingly choosing brands with purpose. They are moving away from the social media giants and want to connect with brands that engage them. HOLD is doing exactly that, as we recently discovered in conversation with Maths Mathisen – one of the co-founders of this innovative idea. Brands, consumers and society itself are just beginning to realise the potentially toxic effects that unhealthy phone use can have on our mental well being, yet in Scandinavia, this visionary young company is already live with its compelling and creative solution – designed to encourage us all to do just that. Somewhat ironically, it’s an app-based solution – but perhaps the first one ever designed to recognise and reward you when you actually switch off – whether to study, work or simply be present with family and friends. And it doesn’t just benefit the user in terms of their exam results or productivity – the app cleverly creates marketing solutions for some of the world’s biggest brands and convenience retailers as a sampling channel and footfall driver respectively. Even those are only the basic benefits as the rational and tangible benefits that form the essential foundation for any loyalty programme. With the delightful tagline “technology tamed”, HOLD also drives remarkable emotional benefits and powerful brand engagement – becoming one of the few inherently positive platforms for CSR initiatives. Truly a win-win-win for users, brands and retailers alike. The HOLD app is currently available for students in the UK and Norway. The idea for HOLD came about when the founders became acutely aware how difficult they were finding it to focus on their studies given the incessant temptation to check their phones. They began monitoring each other’s behaviour in study sessions to see how long they could choose to remain focused on assignments and studies – offering each other simple treats such as coffee from the University cafe if they successfully kept their full attention on the task at hand. They realised that both phones and social media brands are intentionally designing their platforms to “hijack our minds” with reports from the Wall Street Journal that students who bring phones to class “get a full letter grade lower on the exam”. The benefits of choosing to disconnect and focus were immediate as their productivity rose, and the students realised this simple shift in how they studied (rather than how just long they studied) was driving profound performance increases. They also realised the power of this digital disconnection to create an overall sense of improved mental health for users and so the young founders were inspired to commercialise the concept, launching the app in Norway in 2016. Within a number of months, as well as the immediate benefits of coffee, snacks and cinema tickets for users, their research proved that the concept was “improving grades by 30%”. 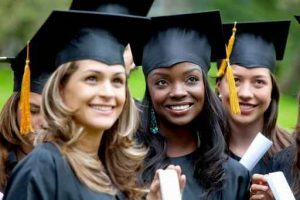 They quickly expanded the app’s availability beyond just students and it’s also now in use by executives keen to improve their productivity. To this day, the company receives thousands of emails and fantastic feedback from grateful parents, students and workers who simply needed the extra nudge to balance their relationship with their phones and now enjoy the benefits of a healthier level of connection. Digital disconnection drives an impressive 30% performance improvement. Students are a notoriously difficult market segment for brands to reach and engage with as they watch less and less TV, and are even dis-engaging from many social media platforms. Yet they are a critical audience in every sector – from FMCG and eCommerce brands to banking and telcos. Driving behaviour at this early age even before they enter the workforce and have disposable income increases the lifetime value of each new customer and the potential of longer-term adoption – even if the product is initially being sampled rather than bought. Mindshare UK is part of a global media agency network and first highlighted a trend of “digital dieting” in their 2016 Trends report, so now, following a year dominated by concern about social media data management, fake news and overall toxicity, it’s unsurprising that their 2019 report sees this trend growing, with “mindful media” choices becoming a definitive approach for many people. Both our choice of content and our style of consumption is changing to become more considered, part of a new era of conscious choice, similar to recent research exploring the “internet happiness revolution”. This is the feel-good energy that brands love, with the HOLD platform immediately proving relevant for the world’s biggest brand. Coca Cola was attracted both to the appealing audience and the positive positioning of the overall idea and it has been working with the platform since its launch in Norway and most recently in the UK. Watch the HOLD video to see it in action. While convenience retailers are found in almost every corner of the world serving local communities, it’s not easy for brands to find ways to effectively make a difference in a scalable way. Partnering with HOLD positions selected retailers as the destination of choice for users – who then enjoy the accessibility of their rewards. The HOLD team see convenience retailers as an essential channel to help them scale their business and they have spent considerable time ensuring individual store managers understand and support the programme also. The partnership delivers immediate footfall for retailers and also builds the habit of becoming a preferred store for local students, families and business users – a critical marketing challenge for every convenience retailer. HOLD customers are also incredibly positive when they do collect their reward, having invested so much time “earning” their reward, so store managers are delighted with the positive energy and brand association – many viewing their role as the reward channel as a critical new tool in their ‘traffic-to-store’ objectives. As a ‘Corporate Social Responsibility’ (CSR) initiative: Most convenience retailers are simply seen as a means to an end. The place we go and hope to spend as little time as possible, grab what we need and leave as quickly as we can. A great CSR opportunity exists for convenience retailers who use this innovative idea to build an emotional connection with their customers that they can really be proud of. Most marketing teams find it challenging to identify ideas that appeal to all segments of their customer base, so HOLD offers a unique solution – particularly as this very early stage when we are all gradually becoming aware of our excessive screen time, but are not disciplined enough to change our behaviour. Until now when an ‘everyday reward’ incentive makes it possible and appealing. As a retail partner, stores enjoy being the destination for offers that other brands pay for! This is a unique opportunity for a customer claiming a coffee that is being redeemed via HOLD to choose to visit their stores, as in many cases there is a large brand such as a telco, utility, bank or insurance company funding the reward itself. In other markets I have worked in, one exclusive partner retailer was chosen based on the greatest number of stores, but for HOLD, the more retailers on board the better. There are so many users of the app in these markets that almost every retailer in these markets seems likely to become a partner to ensure they do not miss out on being the channel of choice for these app users. One final detail that’s delighting their retail partners is how effortlessly the stores then are being marketed to a huge mobile-based audience that they haven’t had to recruit themselves. HOLD acquires 97% of its users through word-of-mouth marketing and referrals – spending almost no marketing funds to acquire their 250,000 users so in addition to owning and operating their own loyalty programmes, brands including 7-Eleven and Narvesen use their partnership with HOLD to attract new customers they didn’t previously have access to market to. HOLD users claim in-store when they earn rewards. While loyalty programmes are well respected as a tool to help drive customer’s behaviour that benefits the programme operator, HOLD is truly the first programme we’ve seen where the change in consumer behaviour is first and foremost of benefit to that individual. With a vision of ensuring whatever time users spend online is time well spent, HOLD is busy finding ways to “make offline time fun and rewarding” – exactly the kind of brand positioning that benefits every convenience retailer. From our side, we are encouraging the entire industry to get behind this innovative initiative and avoid being left behind as this issue becomes perhaps one of the ‘most important problems of our time’. It’s clear that our phones will continue to be incredibly useful technology tools, so with the help and insights from HOLD, I’m firmly of the belief that our mental health and productivity will improve when we also consciously choose to disconnect regularly. If you’re a retailer in Norway or the UK and you want to get involved and become a HOLD retail partner, please let us know. Liquid Barcodes is proud to be supporting this initiative as a technology partner, helping to drive usage, awareness, engagement – and of course a simple process in our stores that customers love. Liquid Barcodes is a leading global loyalty technology company specialized for the convenience store and foodservice industries. Our proprietary cloud-based technology platform allow retailers to create and manage their digital marketing campaigns with a proprietary process we call the “customer connection cycle’ to engage, promote and reward customers activities in real-time across digital and media channels.